Scent-free shower gel and moisturiser gift set for sensitive skin (2 x 100ml). Sensitive skin needs to be cared for deep down, and nothing says ‘natural and nourishing’ more than organic plants. Caring for your skin is easy with this hydrating Scent-Free Body Moisturiser and Shower Gel gift set from Green People. It soothes, calms and protects without stripping the skin of its essential oils, helping allergy-prone skin stay hydrated and healthy. Aloe Vera calms irritations, Jojoba helps maximise skin’s moisture levels and balances oil production, and Rosemary soothes inflammation and is packed with antioxidants for a healthy boost. Application: Rub a few drops of the body wash onto wet skin, lather and rinse well. Pat skin dry and apply moisturiser to lock in hydration. Tip: Suitable for ultra-sensitive skin. 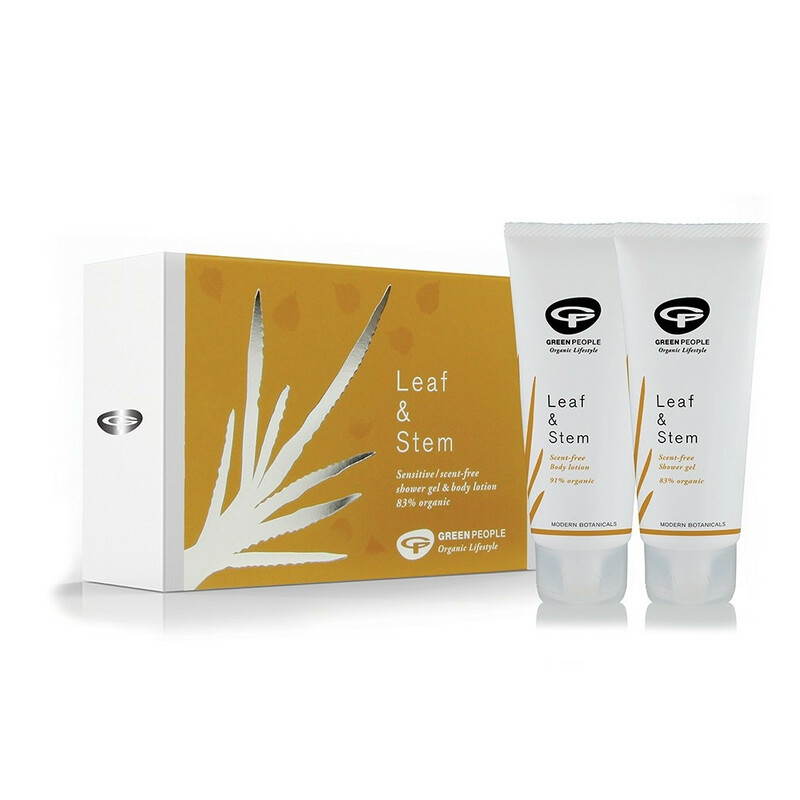 Ingredients that Green People don't use in their products: Green People Leaf & Stem gift collection is made without SLS, parabens, alcohol (ethyl alcohol/ethanol), lanolin, artificial fragrance, petrochemicals, methylisothiazolinone, methylchloroisothiazolinone, gluten, phthalates and colourants to bring you the purest gift that nature can offer.